Inspired by the famous and delicious Amorino ice creams, Nina Ricci launches a new mouthwatering and eye-catching collection summing up three wonderful fragrances. 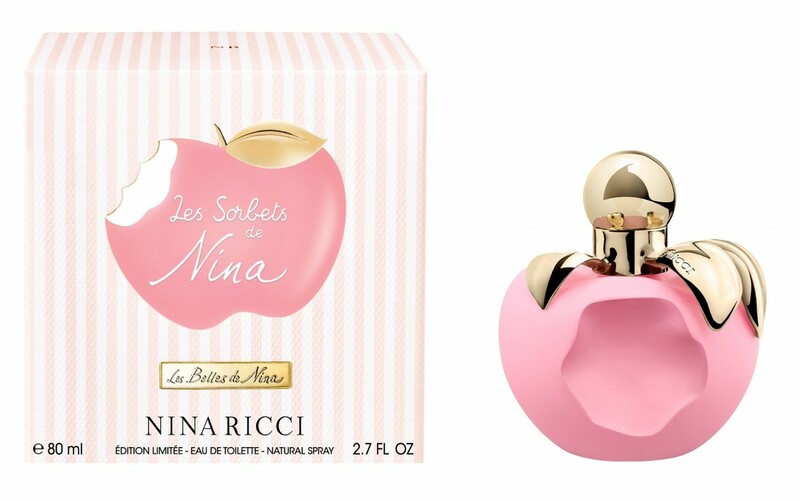 Nina Ricci Les Sorbets Nina, Luna & Bella perfumes will warm any woman’s heart due to their gorgeous and bright colorful designs, and fresh fruity/floral aromas. When I look at these beautiful fragrances I simply want to owe them as quickly as possible. I adore sensual and sweet perfumes, but when they are sealed in breath-taking bottles my heart melts. Nina Ricci knows how to attract and delight its wearers, all her perfumes are very feminine and distinctive - thus making any woman look individual, unique, and attractive. Nina Ricci Les Sorbets Nina is that sweet scoop strawberry ice cream that you want to eat all days. This perfume is a sweet indulgence made of ultra-chilled pralines, raspberry, mandarin, and jasmine. That pinky matt color is simply beautiful. 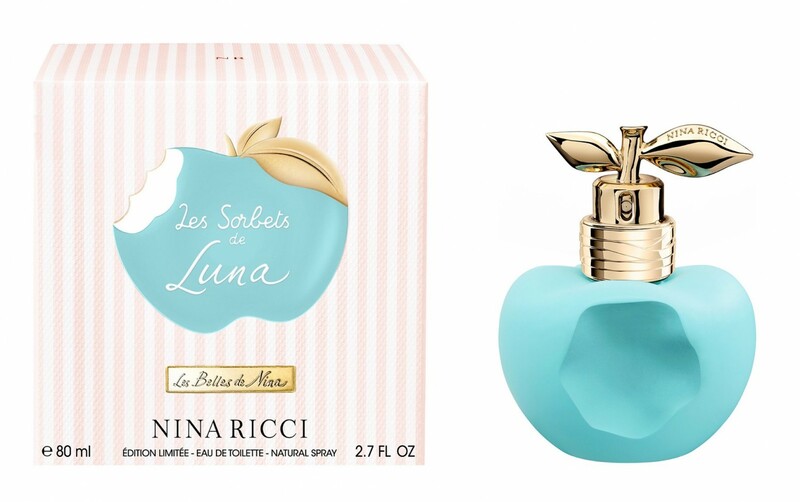 Nina Ricci Les Sorbets Luna is a fresh perfume made of bergamot, pear, jasmine, gardenia and musky notes. The blue matt color bottle inspires the sky with the shining sun that warms us. 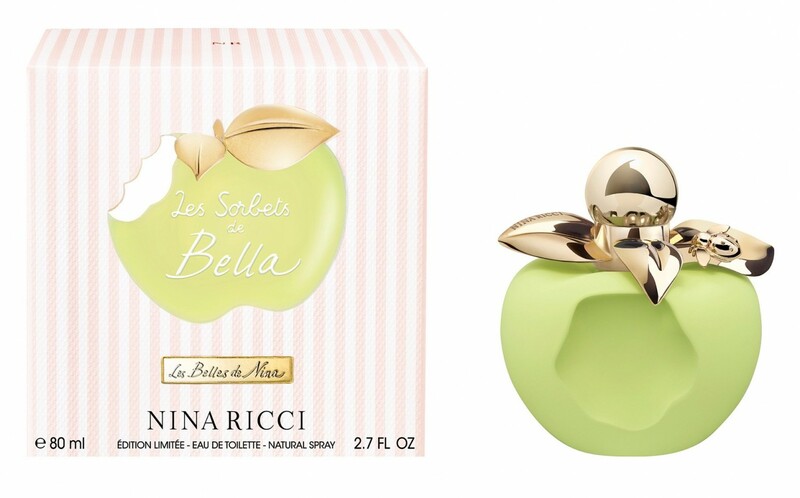 Nina Ricci Les Sorbets Bella is a 'bellissimo' and a mouth-watering perfume, as if a fresh green apple, that invites you to try it. It is described as a pleasant and nice cocktail frappe aroma made of green mandarin, grapefruit, shiso, violet, and woody notes. 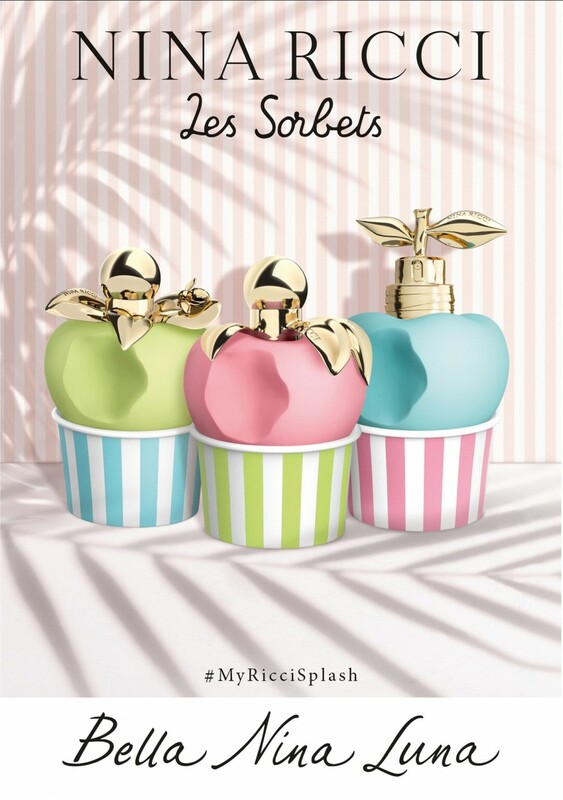 Nina Ricci Les Sorbets Nina, Luna & Bella are available in 50 and 80ml Eau de Toilette.